October 1984 is basically a blip on the radar of time, with only two notable events occurring in its 31 days: astronaut Kathryn D. Sullivan became the first woman to walk in space on the 11th; and Indian prime minister Indira Gandhi was assassinated by two of her bodyguards on its final day. In America, Reagan v. Mondale was in full swing but, really, everyone already knew the outcome. The month didn’t start off so well, however: On October 3rd, I received a speeding ticket and, that same day, locked my keys in my car. Doh! The ticket, thankfully, was rescinded; the officer, bless his heart, forgot to sign it. I picked up some good LPs, including two masterpieces that are on my (nonexistent as of yet) Albums Everyone Should Own list: Crosby & Nash’s Wind on the Water and David Crosby’s If I Could Only Remember My Name. 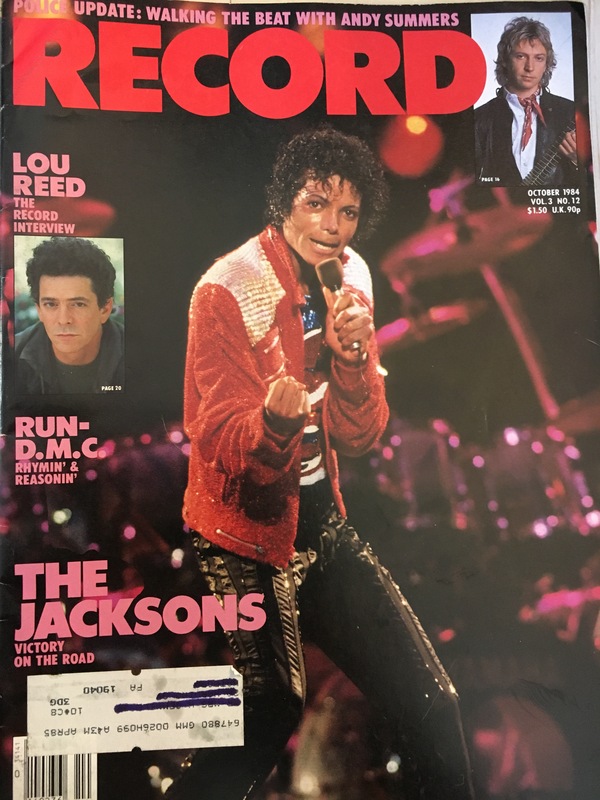 Anyway, this issue of Record features a cover story on the Jacksons and their hot “Victory” tour that I’ve never read. 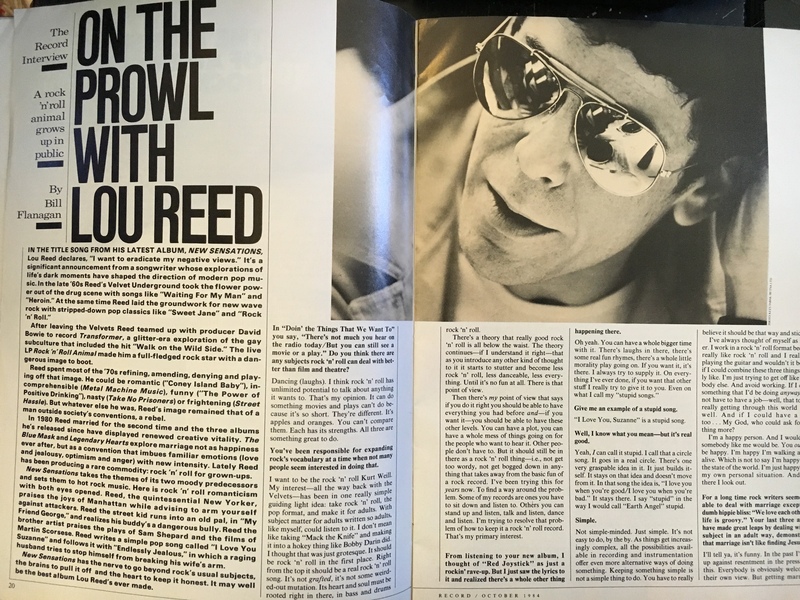 For me, the issue is notable because of Bill Flanagan’s excellent interview of Lou Reed and an interesting essay by Peter Buck. 3) R.E.M. – “Can’t Get There From Here.” R.E.M. 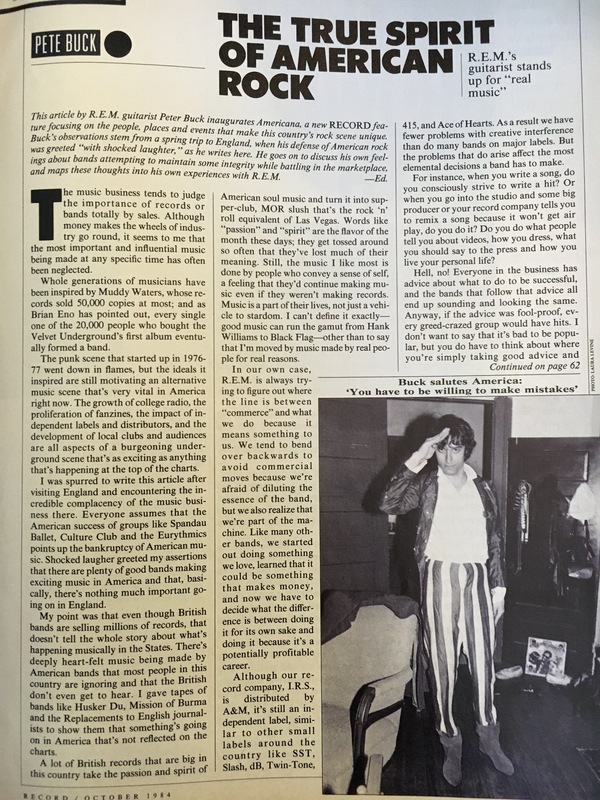 guitarist Peter Buck pens an essay titled “The True Spirit of American Rock” in which he asserts that “even though British bands are selling millions of records, that doesn’t tell the whole story about what’s happening musically in the States. 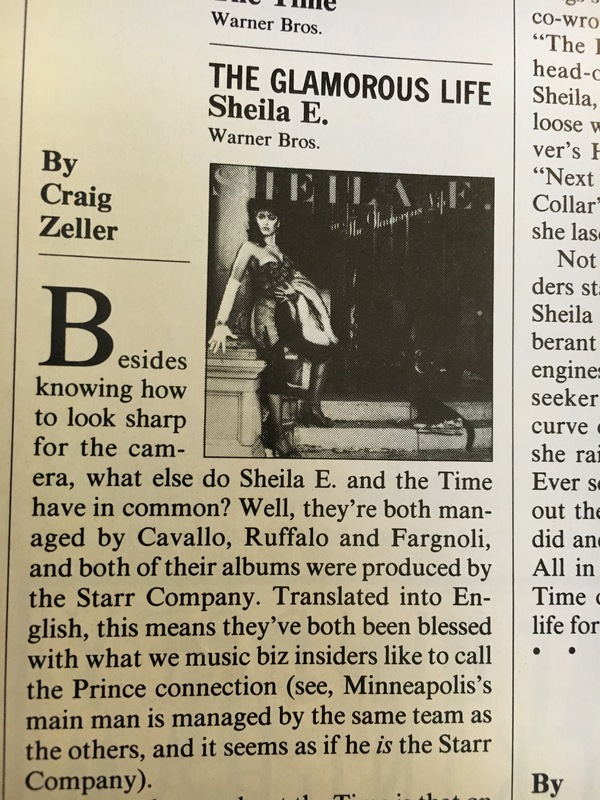 There’s deeply-heartfelt music being made by American bands that most people in this country are ignoring and that the British don’t even get to hear.” He offers Husker Du, Mission of Burma and the Replacements as three examples. 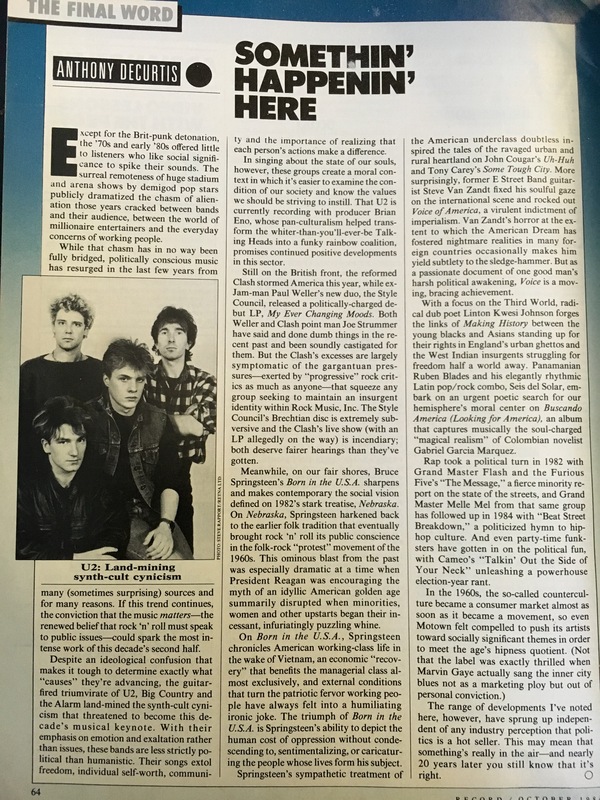 “Except for the Brit-punk detonation, the ‘70s and early ‘80s offered little to listeners who like social significance to spike their sounds. The surreal remoteness of huge stadium and arena shows by demigod pop stars publicly dramatized the chasm of alienation those years cracked between bands and their audience, between the world of millionaire entertainers and the everyday concerns of working people. Paul Weller’s Style Council gets a nod for its 1984 release, My Ever Changing Moods (known in Weller’s home country as Cafe Bleu; it was renamed in the States to match the single, which hit No. 29 on the Billboard charts). “The Style Council’s Brechtian disc is extremely subversive,” says De Curtis. Fantastic quotes from Reed, that’s what makes him my favorite artist.